Twitter is a helpful tool for your restaurant. If you are not on it still because of time, than gather your employees around and make this a group effort. A great book that guides restaurant owners through how to use Twitter is #TwitterWorks Restaurant 2.0 edition (you can download the e-book at the link or go to Amazon to buy a print copy). The book talks about everything from the language of Twitter to how to set up your account to how to use it. Among the gems is a chapter on the 10 commandments of social media for your employees. While we are going to highlight their top 10 ideas, let me also share with you my ideas to add to the discussion. 1. Customer face-to-face always comes first. You don't want the customer standing at the counter watching your employee Tweet, face down into a phone. But, the old adage of 'if you've got time to lean, you've got time to clean' applies here because that leaning time can be tweeting time for the pizzeria. 2. Never say negative things. This is pretty crucial when training your employees to tweet during their shift. While the book recommends not being negative about customers, employees, competition, I say take it a step further and just always be positive and not just on the brand's twitter account, but on the personal ones. Just because you step off premise doesn't make you less of a representative of the brand. 4. No swearing. This should be obvious but when training your employees, be sure to include this note. 5. Respond to all messages in public. Engage your customers and do so publicly so people know you respond. If someone complains, how can you tweet to reach out to help them as soon as possible? If someone praises you, retweet and thank them! 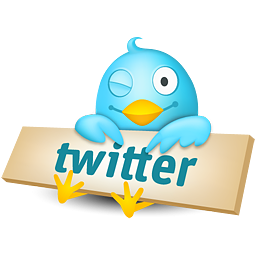 A recent study showed that 72% of people on Twitter expect a brand to respond with in an hour. 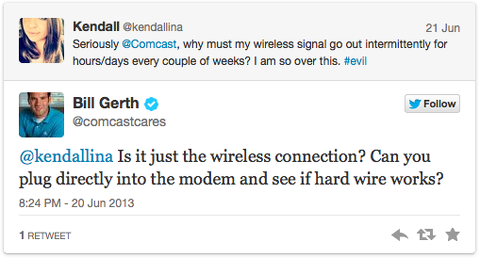 Comcast has an entire Twitter account just to respond to customer service issues. While you don't need to go design a separate account, be sure to show that you care. 6. Service recovery starts in public, gets taken care of in private, and then is shared in public. This ties into number five. Follow up immediately with how you can help then get their contact information to reach out privately to fix the issue. But then follow up publicly so people know, you care. 7. Follow back any non-spammer. While you don't have to follow every single person on Twitter, if someone, who clearly is a customer or a fan or related to your industry follows you, give them a sense of pride when you follow back. Again, it is all about showing that you care. Who is a non-spammer? Social media Examiner has five tips for you on how to get rid of spammers and how to see who they are. 8. You must disclose your relationship to the restaurant. This matters if your employees are tweeting using their own account and not the brand's account. Add to their profile that they work there or mention on occasion. Don't pretend to be just a customer when you are getting paid to say positive things. This will backfire on you. There is actually a law you should know if you are asking your employees to say nice things. Read all about FTC's guidelines on influencer marketing here. 9. Bring any complaints to a manager. This is a big one. If your employees are not trained in handling customer service, make sure they bring the complaint to the right person and not just respond. A bad response can do more damage than good.